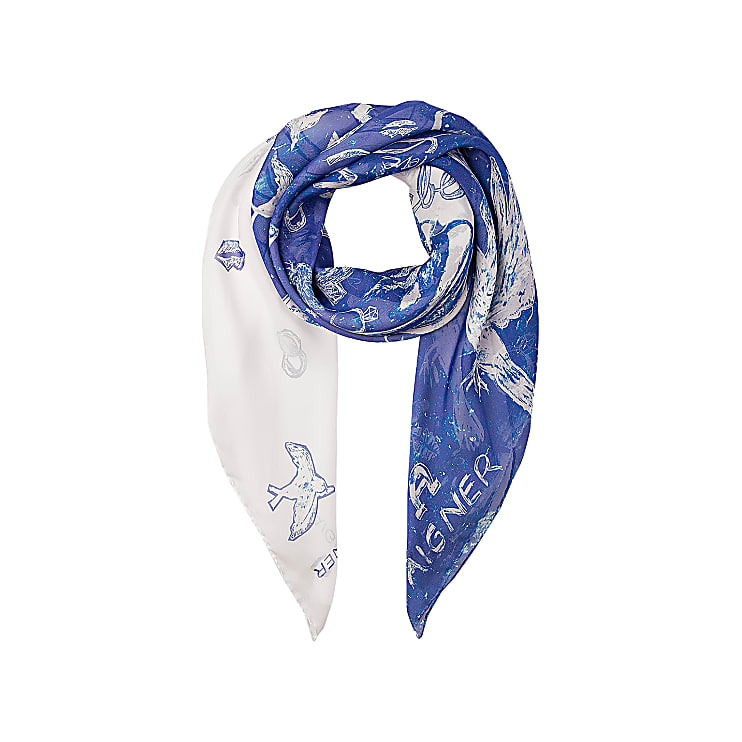 Love is in the air - This grand foulard, made of 100% silk, is fully in line with the symbol of love and our #AIGNERLOVE collection. Hand-drawn love anecdotes, sketches of love birds and colourful drawings like those in a love letter sprawl across the light silk scarf. The chiffon scarf not only perfectly hugs your neck, it also spreads a wonderful feeling of happiness when you wear it.